People aimlessly shop for bargains on Black Friday. It is now almost impossible to avoid this annual calendar date in the UK, which is chock full of frenzied purchasing and overindulgence, often for things we do not really need. We say stop, slow down and breathe, and take a minute to enjoy your plants around you instead, or review and upgrade your green space. We want to remind our community of plant-lovers of the peaceful, stress-relieving qualities plants can bring. 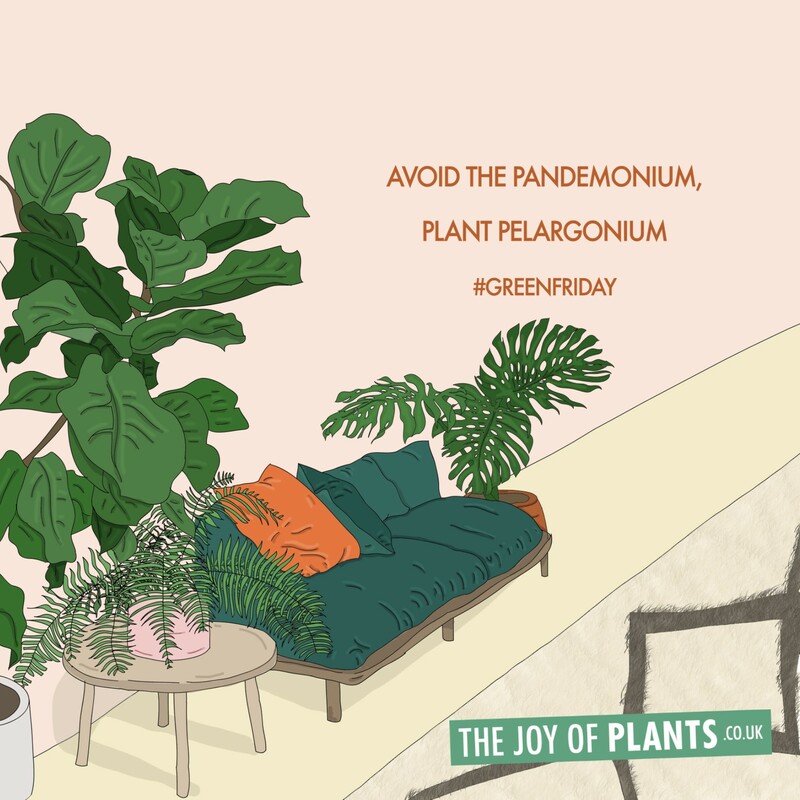 We all know the pure bliss of being surrounded by our plants and how rewarding it is to see our plants thrive under our care (and don't worry, we've all killed a few plants along the way). The rewards of indoor-gardening are endless, just ask any plant lady, millennial, or anyone who is a bit plant obsessed. The watering routines, Sunday pool parties, maintenance chores of dusting leaves, and trimming away anything dead or wilting. It may all seem a bit tedious to some, but these caring little tasks have been proven to relieve stress, soothe our thoughts and calm our minds. Mindfulness is about focussing on a simple task and being present. We want to promote the idea that the pleasures of life can come from the simplest of things. 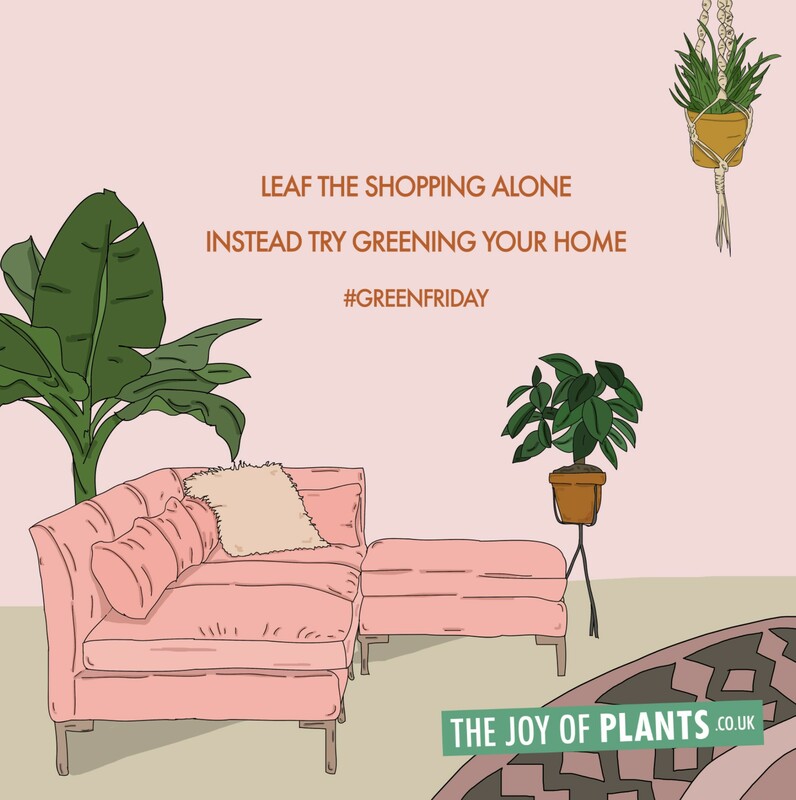 We also believe that when you buy a plant, you're not only buying an item, you buy green lushness, you buy joy, you buy peace, clean air, cosiness and relaxation. And if you invest some time and care into your plant, it will bring you so much joy in return. So step away from your screens and put away your devices. 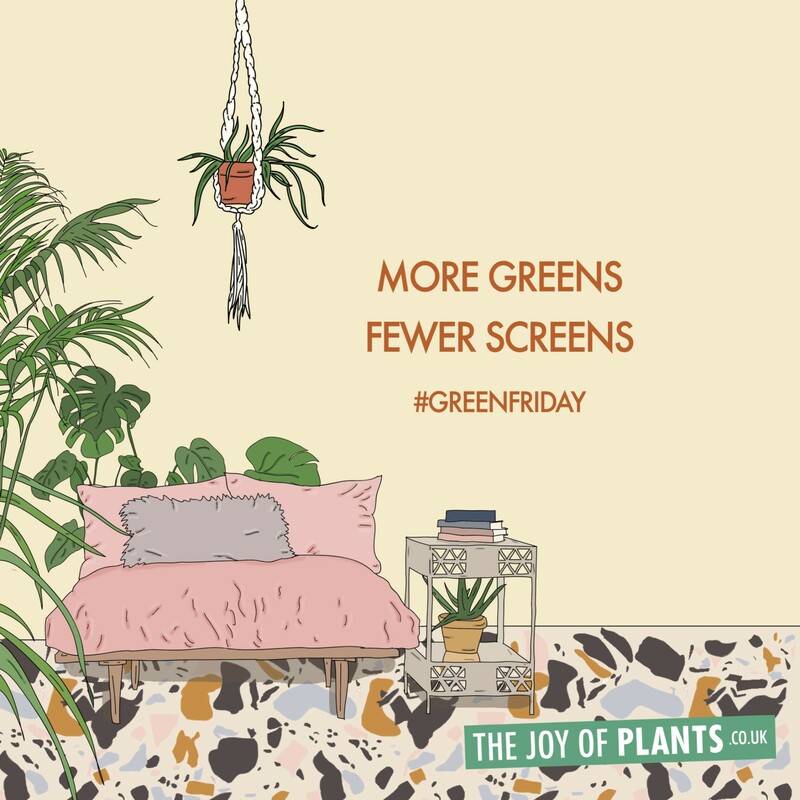 Here's to more green! Our motto: We can always find room for more green! We asked illustrator Alison Rachel to create a series of artworks for us; a small protest against the mindlessness often associated with Black Friday. Alison is the artist behind popular digital zine Recipes For Self Love, and we love the inspiring and empowering messages she sends out to the world. You can find our top pics for the best, big green plants to restore the calm and bring into your home here.